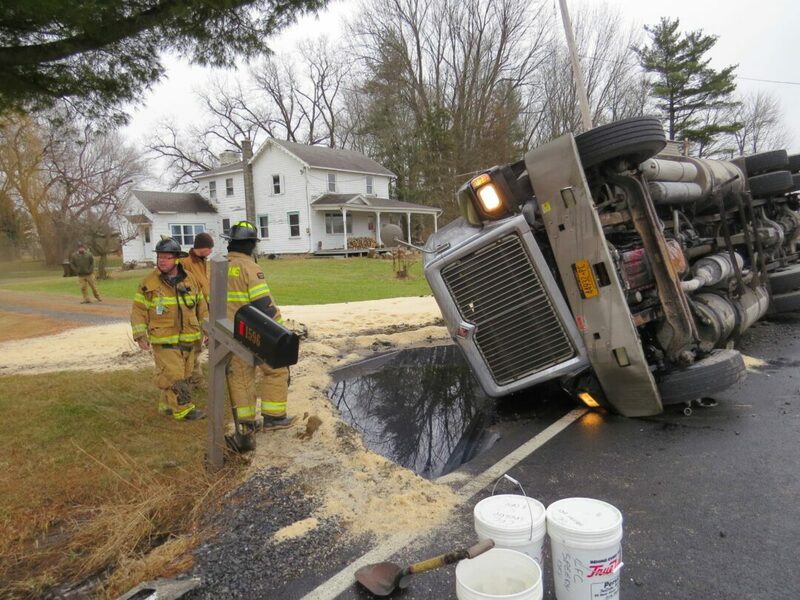 COEYMANS – A Charlton Oil Co. semi-truck carrying a large container of salt rolled over onto a residential lawn on Route 144 in Coeymans at around 1 p.m. on Tuesday, Jan. 8, causing a major spill. According to reports, the semi-truck driver allegedly went off the right shoulder of the road and traveled around 150 feet before striking a tree and rolling over onto its right side. It ended up lying against a utility pole, and the salt spilled over onto the lawn on 1596 Route 144 (River Road). The driver sustained non-life threatening injuries and was transported to the Albany Medical Center. Members of the state Department of Environmental Conservation and its Spill Response team responded to the scene to assess the situation and initiate the clean-up process. The Coeymans Police Department is investigating the cause of the crash.